I was supposed to post this yesterday but I fell ill and didn’t access the internet at all (which folks who know me should realize is a really big deal!). Anyway, I’ll probably edit this post later with PDFs, but for now, just hurrying through the post. Remember that you can solve the puzzles from the League online on the Sudokucup Guest League page with a 24h delay (though I’m not certain whether this is too late to be put up today). 1) X is in the Yth position in that direction. 2) Y is in the Xth position in that direction. Compared to how difficult Descriptive Pairs can usually get, I think the Odd part tames this combination a lot and puts it on the easy side. 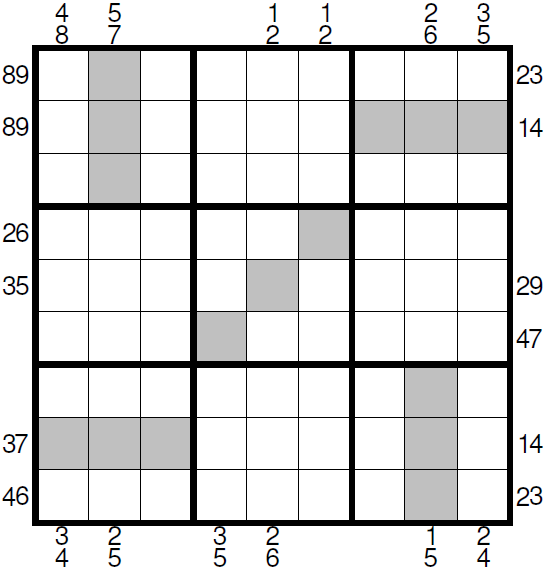 I still like how it turned out, especially with the clue pairs working out with a “same sum” theme that I was trying. 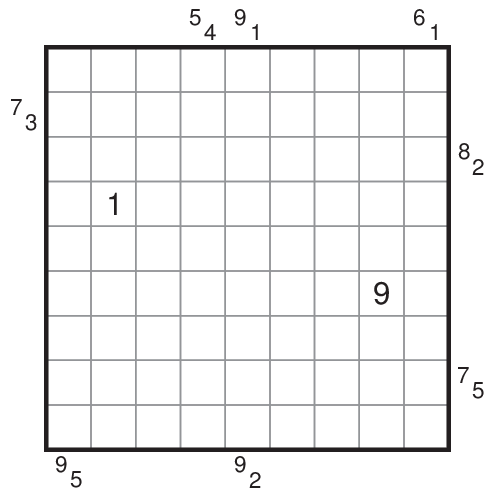 Earlier today/yesterday, depending on the part of the world you’re in, Tom Collyer shared his contribution for Friday, a Classic Sudoku. 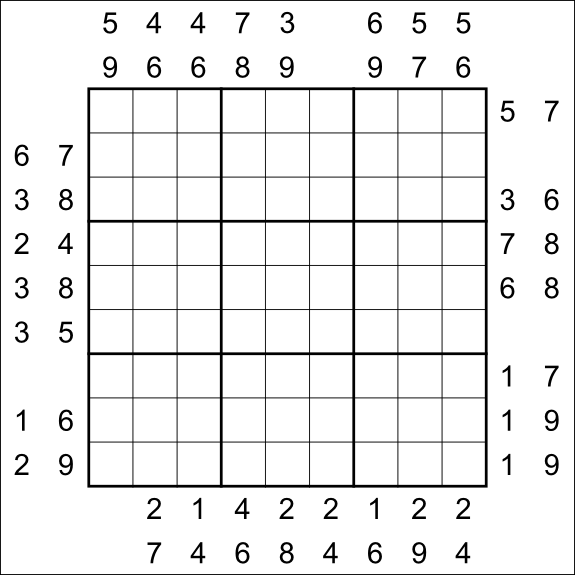 Also, Tom has made a nice document with Week 1’s 4 Sudokus and you can view that pdf here. The pdf also features the best timing from our little group of solvers, and an interpretation from that of the target times for different solvers. Now to today’s pair. The Snake is small and maybe easy, but I was pretty adamant to get a Snake variant into this series and this seemed to work well. 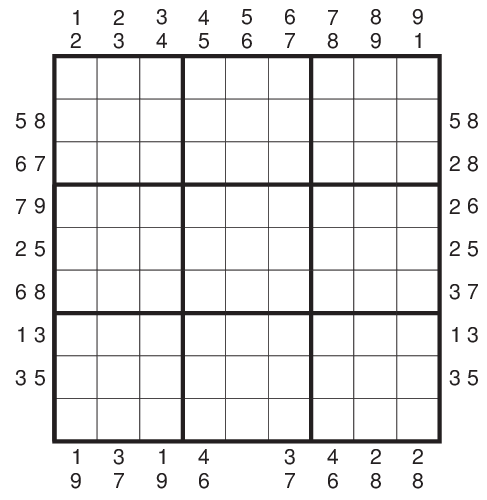 The Sudoku came out nicely and I actually think more can be done with this type. I’d rate it at a medium. 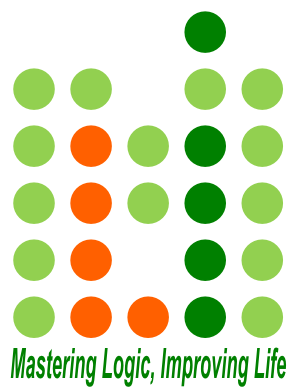 For 273 : Locate a Snake of one-cell width in the grid, that does not touch itself even diagonally. The snake travels in sequence 1-2-3…9-1-2-3…9 and so on. The length of the snake is unknown but head and tail are given.